Gite des Cathares is a spacious holiday gite in rural South France, based at the heart of Couiza, a thriving little town, complete with all amenities, including a local shop, excellent patisseries and 2 restaurants. Couiza lies between the historic city of Carcassonne and the majestic Pyrenees in an area of Languedoc Roussillon renowned for its outstanding natural beauty, an ideal base for a vacation in South France and for getting a feel of the rich culture and fine food. Please click for local activities, summer and winter holidays, river swimming, lakes, walking, markets and restaurants or to see some great places to visit in Aude. 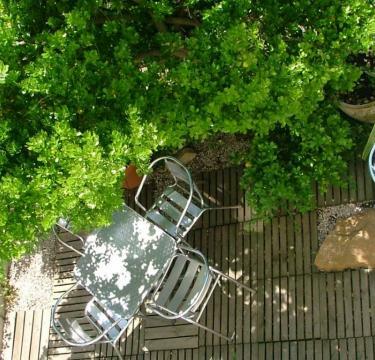 The gite in Couiza, Aude comprises 3 self catering apartments that are well equipped and attractively furnished with everything you'll need for a comfortable vacation. The ground floor sleeps 2-4, the 1st floor sleeps up to 6 and the 2nd floor sleeps 2-4; all have use of the pretty, south facing terrace. For our rates, please see Gite prices. We also accept bookings from any day to any day giving you greater flexibility. 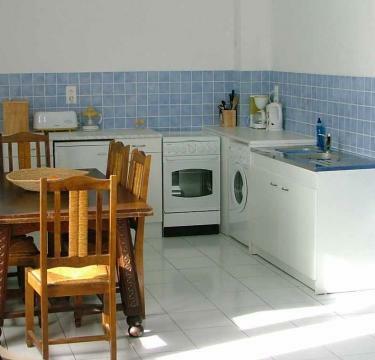 The French self catering vacation apartments in Aude are hung with original paintings in bold and beautiful colours, giving Gite des Cathares its name. 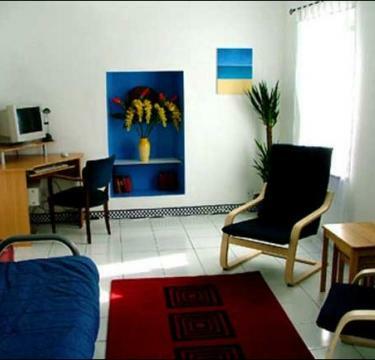 Each holiday apartment has its own computer with free broadband Internet access, which makes it an ideal base from which to find local attractions, house hunt, or keep in touch with the rest of the world via email. To see what other guests have said about the vacation accommodation in Couiza, please visit the Guest Book Page. Children and well-behaved pets are welcome, with a high chair, cot and toys available for young children. The apartments are non-smoking throughout. 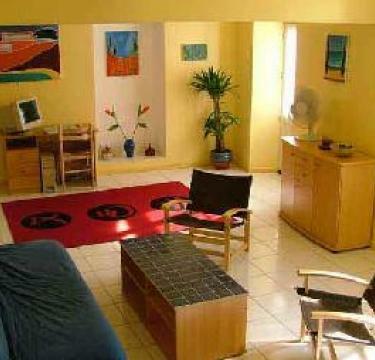 As well as holiday lets, we offer great discount for long term rentals in France. 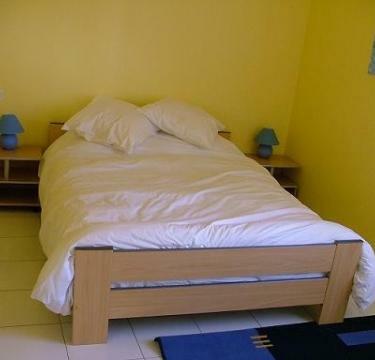 Ideal if you're looking for a furnished apartment to rent in South France, with internet access, a computer supplied and plenty of space. Couiza is situated between Quillan and Limoux at the foothills of the Pyrenees in South France. 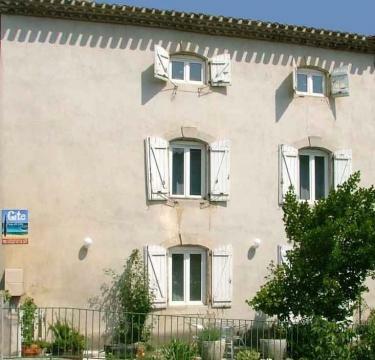 We also have information on attractions around the French rental accommodation in Aude and Languedoc-Roussillon, France.